Julie Windsor, Managing Director at Talentia Software UK, explores financial consolidation and how automated processes are increasing the speed and reliability of reporting. Greater pressure is now being placed on reporting cycles than ever before, due in large part to increased transparency expectations both internally and externally, new standards of compliance and heightened traceability levels within financial reporting. In response to this, a shift is being seen from organisations reporting historical fiscal performance information towards financial consolidation. The primary benefit of this approach is the ability to provide wider context through detailed budget comparisons and future forecasting by combining financial data from all key departments. With reporting’s overarching objective being to reveal what is going on in the business at any given time, it is unsurprising that the modern report has now evolved in order to meet the fast pace of today’s corporate landscape. The reporting process should now include forward-looking indicators of importance to all within an organisation – not just finance professionals – including sales pipelines, the percentage of products launched in the past three years, competitor analysis and customer satisfaction levels. Technology has been central to driving this extension of what has come before, with systems put in place to allow finance professionals to access the latest view of how the business is performing against budget and competitors, as well as the big picture of a firm’s financial health. The nature of business today means that financial reports must be readily accessible to others within the business, in order to engender a collaborative approach. This cross-departmental dialogue, centring around key data, is an essential element in allowing finance to work strategically with colleagues across the business including HR, marketing and operations in order to facilitate better decision-making. At the heart of this dialogue, however, is data – this is the critical factor for good reporting. Traditionally. Spreadsheets have been used for financial reporting at a corporate level because of their ease of use, flexibility and widespread adoption, however increasingly this approach is changing; spreadsheets, by holding data in their cells, are cumbersome to change, slow and prone to costly errors. As such, automating the data collection process from core business areas and regions is now essential: harnessing data from multiple departments and business entities for financial consolidation is an extremely complex process that requires sizeable collaboration, and as such this is not best supported by spreadsheets where the probability for errors to be made is high. A best practice approach sees data held in a single repository that incorporates powerful analytical tools as well as controls to ensure its validity, security and quality, with frequent management reports reconciled with consolidated statutory reports. When both sets of reports are based on the same repository and shared across the organisation, this becomes a fairly simple process. Without question, reporting is enhanced significantly by adding context, specifically through offering operational data, graphs, external information, analysis, forward-looking indicators and dashboards. By making reporting relevant to each user, its impact can be elevated by providing key individuals with insights into business performance in order to strategically support the achievement of corporate targets and objectives. The rise of key performance indicators for businesses has been fundamental in terms of helping to integrate financial and operational data, in turn examining the underlying operational drivers of financial performance. In an increasingly competitive business environment, effective corporate governance and strategic management requires thinking outside of the box. Traditional row and column reporting of historical financial data must be taken to this new level by adding context in order to effectively fulfil the primary objective of financial reporting: ensuring that accurate information reaches the right people, at the right time and in a format that can be readily understood. A graduate of Cambridge University, Julie started her career in the software industry with a leading financial services company and later moved to a subsidiary of US giant, Control Data, where she was responsible for introducing solutions targeted at HR. Recognising that new developments in software were about to change the face of HR, Julie was part of a team that formed HRM Software, which focused on talent management solutions for major international businesses. As a director and board member of HRM Software, Julie worked with over 50% of the top 100 UK companies and helped to turn it into the market leader in its field. After the merger with Cezanne Software in 2006, Julie was appointed Director of Operations for the UK and Benelux and was a member of the board. 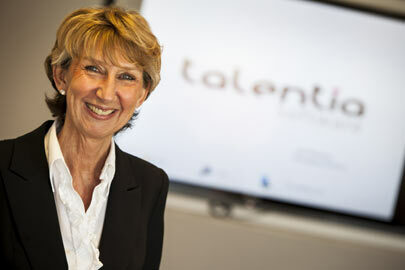 Following the acquisition of Cezanne Software Holding Limited by Talentia Software in 2013, Julie is Managing Director of Talentia Software UK and on the board of Talentia Software Holding Limited.